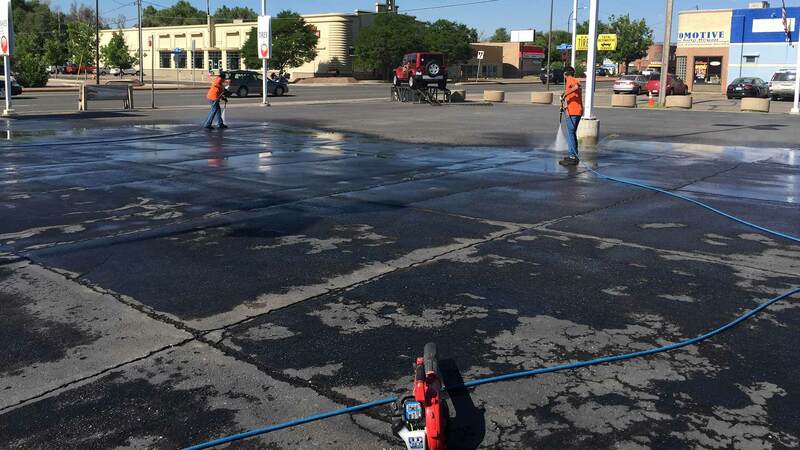 Are you in need of an affordable and reliable professional pressure washing company for your business in Aurora? Is there unsightly graffiti, scratch marks or heavy dirt on your vehicle and no matter how hard you and your employees scrub, it just won’t come off? Are your fleet of trucks or cars looking dull and in need of a major spruce up? If your livelihood is dependent on your automobile looking professional and respectable then Mile High Mobile Wash is the company for you! 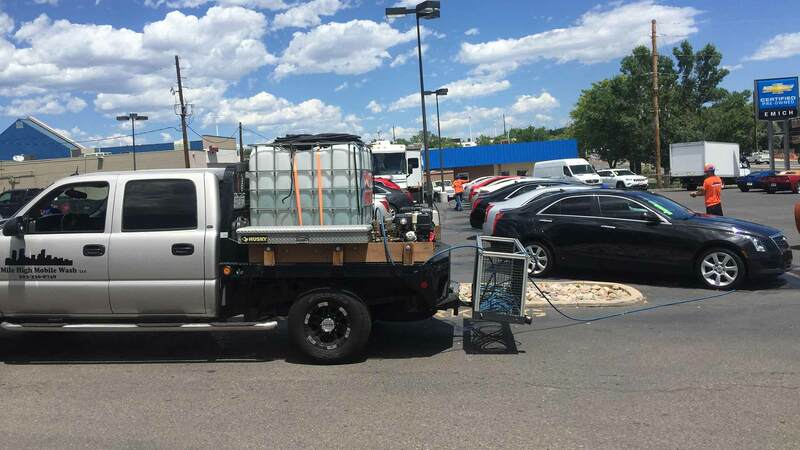 People in Aurora throw all kinds of money on costly refurbishing because they want the exterior/interior of their vehicle to look its best, but sometimes all that’s required is a good old-fashioned pressure washing! 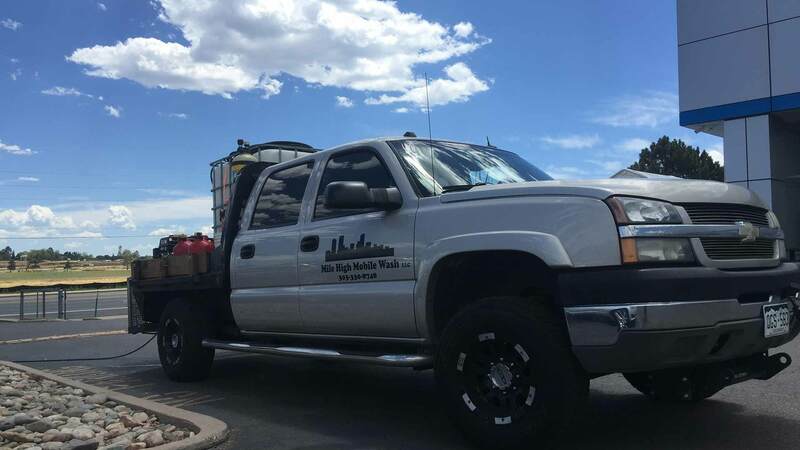 Mile High Mobile Wash is a pressure washing company based in Aurora that specializes in washing fleets of commercial automobiles. With our 30 years of experience in the industry, we pride ourselves on providing our clients with the best service and latest technologies. Our reasonable rates, impeccable customer service and highly efficient technicians is why we have such a solid reputation. Mile High Mobile couldn’t be prouder of how quickly we have risen and established our worth in the industry! As a business owner or manager you know the importance of marketing. Your fleet of trucks, busses and cars represent your establishment. These vehicles are your main promotion tool; your money makers! Your automobiles travel all over the country, they are moving billboards, an extension of you and your company in Aurora. Imagine how much business you are losing because of unnecessary filth. Your contact information and company logo buried beneath dirt and grime sends potential clients the wrong message. However, a clean shining vehicle demonstrates professionalism and pride. Your fleet probably needs a good pressure washing if you’ve noticed that staff is wasting valuable time trying to clean vehicles. Unless cleaning is in the job description, your employees should not be responsible for exterior cleanliness, they might make it worse. 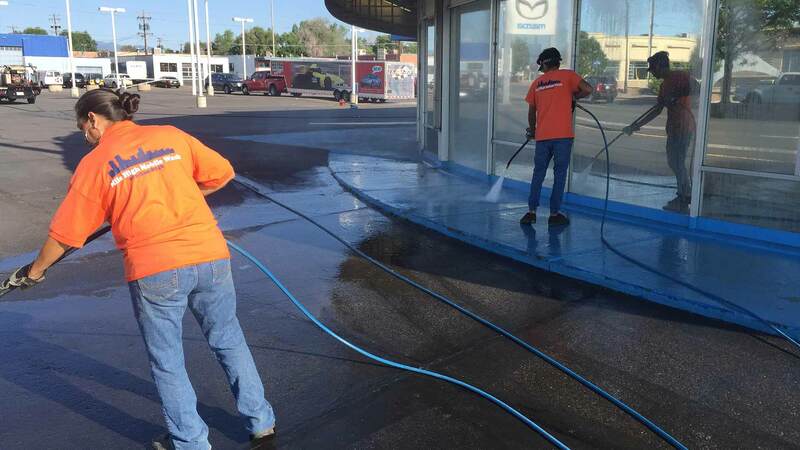 You are better off using professionals like Mile High Mobile Wash. We know how to properly remove stains, muck and graffiti. A soiled truck or car not only looks bad, it can be dangerous too. When dirt and mud build up over time the layers begin to fall off which can become hazardous on the road. Other Aurora drivers are at risk and so are you are. If you want to prevent potential accidents or even lawsuits, keep your fleet clean! If you want great service and affordability contact Mile High Mobile Wash today! We are highly experienced and efficient. We will have your fleet gleaming in no time! Remember your company vehicle is a representation of your business, so the better it looks the greater the profit!